D.J. Poyfair represents corporate and individual clients in complex business matters before state and federal courts throughout the U.S. His practice focuses on the areas of securities litigation, trade secret litigation, class action and multi- district litigation, direct selling litigation and technology litigation, with a special emphasis in emergency response and crisis management. He also has handled numerous state and federal regulatory matters including investigations and litigation. Mr. Poyfair’s practice is geographically diverse. 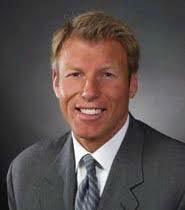 He has served as lead counsel in federal district court matters in California, Colorado, The District of Columbia, Florida, Idaho, Illinois, Massachusetts, Minnesota, Missouri, Nevada, New Mexico, Pennsylvania, South Carolina, Texas and Utah, as well as state court matters in Colorado, California, Hawaii, Michigan, Nevada, Texas and Utah. Mr. Poyfair has been admitted to practice before the U.S. Court of Appeals for the Second, Fifth, Ninth and Tenth Circuits, as well as the U. S. Tax Court. For the last twenty-five years, Mr. Poyfair has served as lead counsel on behalf of many of the world’s largest direct sales companies in trials, arbitrations and state and federal regulatory investigations across the nation. He has extensive experience in litigating matters involving ex-parte injunctions, raiding and trade secrets to name a few. 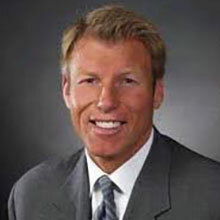 Mr. Poyfair has taught trial and deposition skills to lawyers across the nation for over two decades. He is a long time faculty member of the National Institute for Trial Advocacy (NITA) and serves as team leader for NITA’s Southern Deposition Program, Pacific Regional Skills Program and the Rocky Mountain Deposition Skills Program. He co-founded NITA’s Litigating Before the United States Tax Court Program. He has also served as faculty in the National Trial Skills Program, the Robert Hanley Master Advocates Program and the Pacific Regional Master Advocates Program. In addition, Mr. Poyfair has presented numerous in-house trial skills programs for the Internal Revenue Service, and various national law firms such as King & Spalding and Cleary Gottlieb. Mr. Poyfair is an avid mountaineer having climbed all 54 of Colorado’s 14,000 ft. peaks. He lives in Denver with his wife, Deanna.